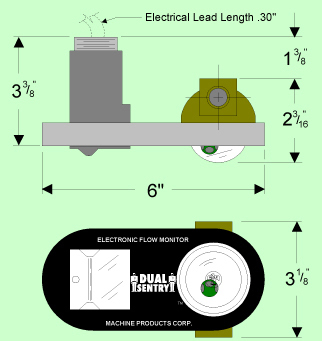 The unique Model 203 Dual Sentry™ EFM provides both visual and electronic indication of flow. Flow of liquid agitates special spheroid ball that can be easily observed through tough Lexan® dome. The ball agitation breaks a high intensity light beam carried in rugged fiber optic cable.